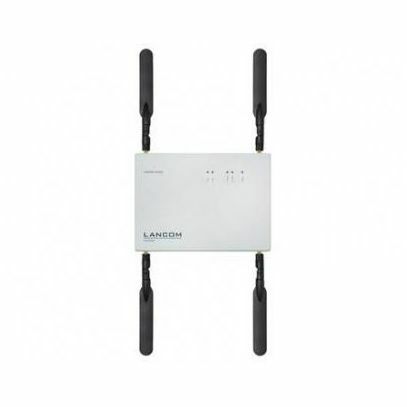 The LANCOM IAP-822 is a powerful 11ac WLAN industrial access point. It provides fast WLAN to 11n clients in the 2.4-GHz frequency band and also to the increasing number of modern 11ac-enabled devices in the 5-GHz band with up to 867 Mbps. In combination with an extended temperature range of -20 to +50 °C and a dust-proof housing, the access point is ideal for demanding environments such as logistic surroundings, sheltered outdoor areas or installations at mobile machines.